The French writer Émile Zola once said, “One forges one’s style on the terrible anvil of deadlines.” For Chicago painter Andrea Coleman, that rings especially true. While working toward her Bachelor of Fine Arts from Columbia College Chicago, Coleman found herself working against the clock when her initial plans for a project had fallen through. With less than twenty-four hours until deadline, Coleman remembered an old photograph of her mother. “I had collected a bunch of pictures from family albums, and I kept this one of my mom because it kind of looked like me,” she said. Though she had never painted digitally before, she decided to make a collage with the old photograph in Photoshop, staying up all night to make her deadline. 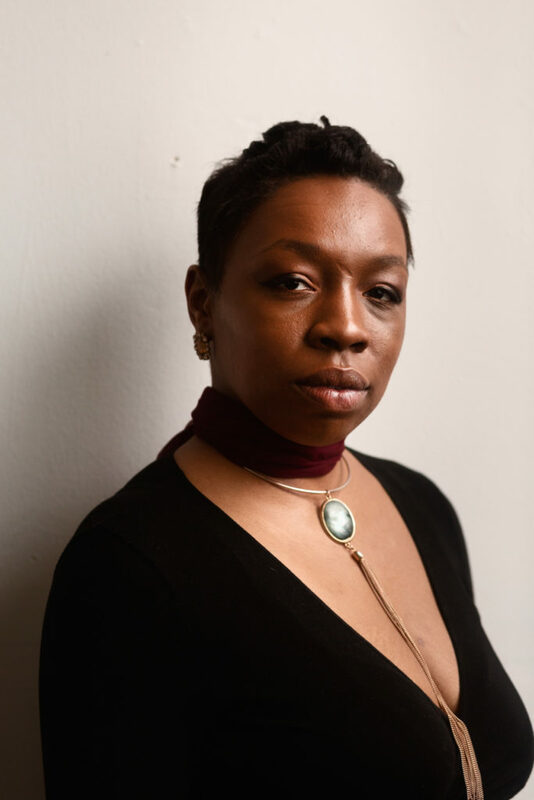 Aside from her family, Coleman counts among her inspirations Marvin Gaye and Toni Morrison, two artists she says have helped her stay in tune with her past and reach beyond words to capture shared experiences. In addition to her digital paintings, Coleman’s work has also been showcased in galleries run by Columbia. She also created a video work filmed with a three-dimensional camera when her grandfather was hospitalized in 2017 that aims to evoke empathy for those in the healthcare system and capture everyday interactions in hospital spaces. Lately, Coleman finds herself experimenting with fabric, canvas, and carpet instead of print and paper. That work will be on display at the Chicago Art Department in Pilsen this July. Bridget Gamble is a contributor to the Weekly and a communications specialist. She last contributed an interview with longtime Chicago public health nurse Joan Lawson.